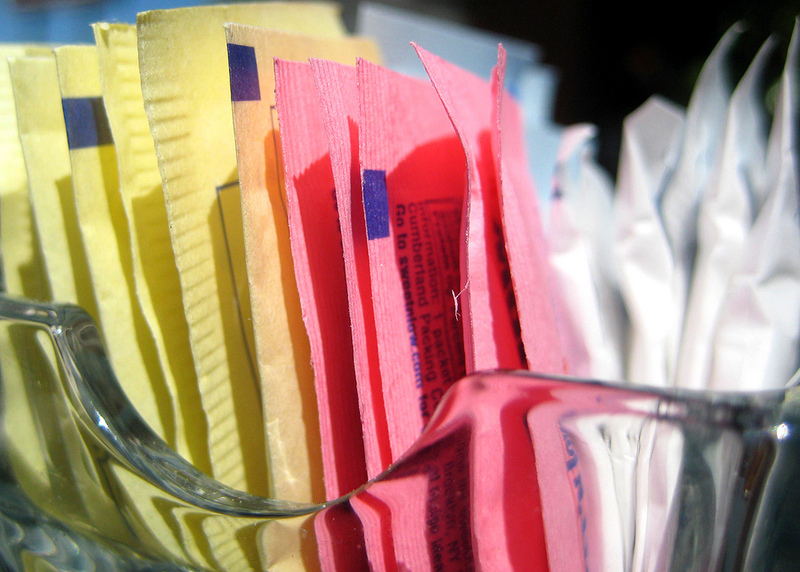 Home > Recent > Artificial Sweeteners - Healthy or Not? We’re constantly bombarded with the health risks of sugar. Whether it’s those TV Programmes showing the amount of sugar cubes in a can of Coke, or the deceiving marketing of sugar-packed fruit juices and smoothies, the hysteria and warnings are always in the media. With this, has come the mass-production of artificial or alternative sweeteners. But how much healthier are these than sugar? Despite being marketed as healthy, there has been controversy surrounding sucralose since being introduced. Claims of false advertising have been brought forward, as despite being labelled calorie-free, it’s been found that due to the intense sweetness of sucralose (that’s 400-700 times sweeter than sugar), carbohydrates dextrose and maltodextrin are added to reduce the intensity, resulting in the calorie count actually being 3.36 calories per gram. However, due to the sweetness of the sweetener, despite the added carbs, the amount needed is small, meaning the calorie-count is hardly worth noting. There have also been concerns as to whether eating sucralose affects your blood sugar and insulin levels. Studies have shown that those used to consuming artificial sweeteners see no change in these levels. However if an individual’s body isn’t used to sweeteners, it may affect their blood sugar and insulin levels but not to a dangerous extent. Sucralose is also considered heat-resistant, meaning when heated; it doesn’t lose its sweetness. Yet, it’s said that when heated with glycerol, sucralose could produce harmful substances called chloropropanols, which are said to increase cancer risk. However, the controversy continues as major researchers Cancer Research UK and the US National Cancer Institute have reported sweeteners are safe and do not cause cancer. "Large studies have now provided strong evidence that artificial sweeteners are safe for humans," says Cancer Research UK. Despite concerns, the FDA has set an ADI (acceptable daily intake) for sucralose at 5mg per kg of bodyweight. Most food ingredients have ADI’s, and so mean they are healthy in moderation, in line with recommended intakes. Overall, using sweeteners in place of sugar is healthier in terms of dental health, blood sugar and calories. For more information visit the FDA or NHS websites.